Online tee times are not availabile for Palheiro. Palheiro Golf Course is a 18 hole course located on the Island of Madeira. The course provides a challenging 18 hole with stunning views, fast undulating greens, well placed bunkers and tight fairways that reward only accurate play. 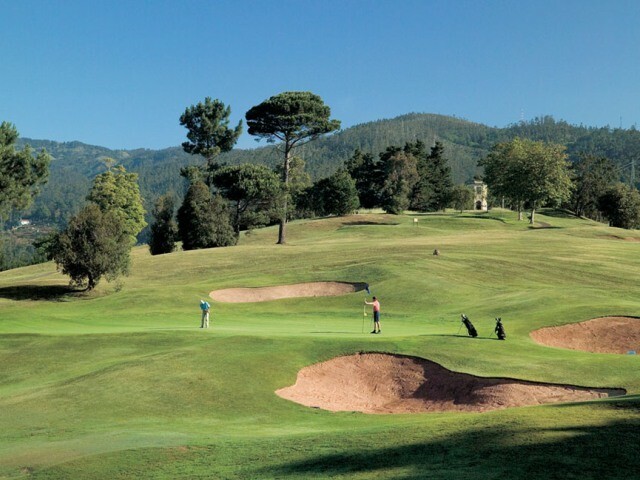 Palheiro Golf is highly regarded for its pine forests, centennial trees, flowering shrubs and lush vegetation. The Palheiro Course is close to the town of Funchal and players will enjoy ocean views and across to the Ilhas Desertas. This course has almost achieved the impossible that has been carved out of the volcanic rock and covered with thick exotic vegetation and a pine forest. The architect of the course takes the player through all this and at the same time provides an exciting round of golf. To post a review, score or a notice on Palheiro page's or to connect with other Palheiro golfers, please log in to your account or sign up using Google or Facebook.